This study explores the premise that the experience of being "born from above" in John's Gospel can be seen as mirroring the development of human subjectivity, particularly as understood through the psychoanalytic work of Julia Kristeva. 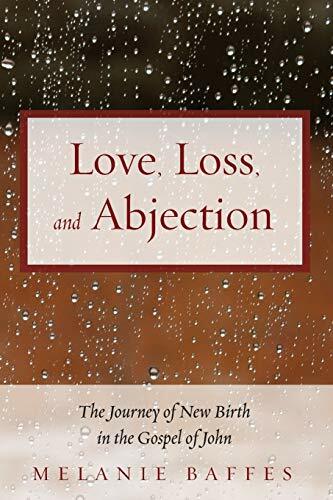 It draws specifically on Kristeva's theory of how the human self/subject takes shape in infancy, her contention that subjectivity is a work in progress, and her insistence on abjection as a catalyst for developing selfhood. Examining the story of Mary of Bethany (as narrated in John 11-12) through this lens, this analysis seeks to better understand the concept of new birth and how it relates to being fully human. Melanie Baffes (MDiv, PhD) is a writer and independent biblical scholar. She is the coauthor of Research and Writing in the Seminary (2014) and coeditor of Nation and World, Church and God (2014).